Choose this option if you want your DVD(s) in a Full size DVD case with customised insert (using image from your footage), Title of video on front & spine of DVD case insert. Note that this option also allows you to house up to 6 DVDs in special DVD cases. We can design the DVD face, full colour graphics (using an image from your footage or you can supply us with a digital image). Further more we can apply UV Lacquer to your disc to avoid ink smudge and to give your disc a shiny and professional feel. Once we receive your main order we can discuss this option. 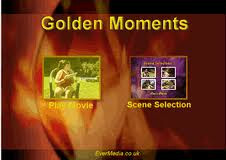 Let us gather those golden moments from your films and produce a professional movie to your chosen music tracks. Along with Titles, special effects (transitions, slow/fast motion etc) and music it will be a personal masterpiece. See our Professional Video Editing Service for pricing & samples. If you have several videos on a disc you may want to enjoy the convenience of a DVD or Blu-ray Menu to navigate between videos and add to the professional feel of your DVD or Blu-ray. Any further customisation can be carried out - please ask us. You can send us any number of photographs and/or slides you would like included with your movie or as a separate slideshow. Each photo/slide is scanned, digitally cleaned and enhanced. Each image is shown with an artistic Pan/Zoom effect for a professional finish. See our Professional Video Editing Service for samples and pricing. Or simply let us know and we will work out for you. We can fix broken tapes as well as tape case replacement should it be necessary. We have so far managed to recover all faulty tapes and depending on the challenges presented this service can normally cost from £7 to £10. In some serious cases we may have to manually transfer your video tape onto a new reel. These are rare and extreme cases and recovery can cost up to £80! Preserve Your Precious Memories from your VHS & Camcorder Tapes TODAY! Picture quality on all magnetic media degrades over time... Don't Let Your Precious Memories Fade Away! Have your videos converted to DVD, Blu-ray or file formats for editing & playback on Smart TVs! Picture quality on all magnetic media degrades over time... Don\t Let Your Precious Memories Fade Away! from only £15.50 or less! We are pleased to offer you our low pricing for professional transfer of your videos to DVD/Blu-ray and any File format for your Mobile devices, SmartTVs, Editing and Archiving. We place your requirements and the safety of your precious material at the heart of our operation. So you can expect nothing but the highest levels of customer care, service and quality transfers from EverMedia. You can pick and choose any options to enhance your production or to keep it as simple as you wish. With our Fair Pricing you only pay for what you ask for. As we digitise all video tapes prior to DVD authoring you can also benefit from other output formats (MPEG1/2/4 / H.264, WMV, QuickTime etc) at a fraction of normal costs. Mrs. E. T. "If you are looking for great Customer service, look no further than EverMedia Ltd. I have used the company for many years, first converting Video Tapes and later converting Camcorder tapes to DVDs. I have had special requests for specific conversions and EverMedia have always fulfilled my wish and in many cases enhanced the original product. Their covers for DVDs are personalised and make very good presents for specific events. Lately, I have had 7 years worth of different tapes saved onto a hard drive which allows me to play the clearly marked folders on my TV. I had absolutely no knowledge how to do this, but was guided and advised and helped until I achieved what I set out to do. The service and products are indeed very good value for money. All products have been received safely back again. Highly recommended and reliable." How Much? How to Order? Find the Order Form / Calculator Complicated? 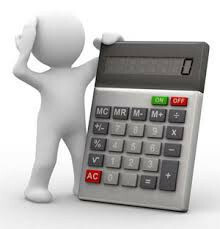 We have provided the Online Calculator / Order Form to handle most popular options. 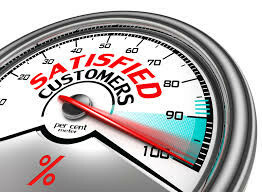 However if you are after a no frills conversion or the Order Form does not cover the options you require, simply tell us your requirements and let us work out the costs and options for you. Click on the Quick Enquiry button below and fill in the simple enquiry form.